On day 1, Brian and I pulled up the original decking. 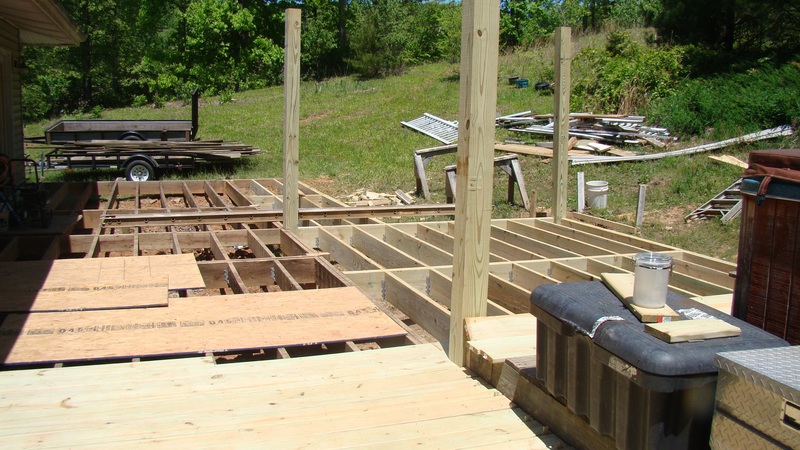 The contractors extended the floor joists out another 12 feet, put roofing support beams in place and started adding new decking. The far end of the deck was extended another 4 feet. The slope of the yard precludes it from going out any further. Awesome progress!